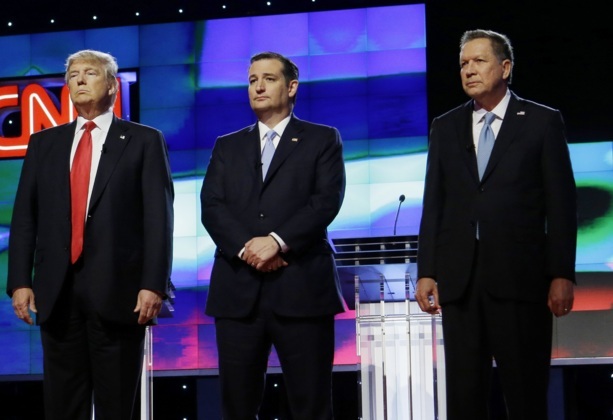 The John Kasich-Ted Cruz alliance: Can it change anything? At the moment, Donald Trump leads in Indiana in our latest CBS News Battleground Tracker. Now that John Kasich, currently in third, isn't campaigning there and has teamed up with Ted Cruz, the underlying assumption in this move is that Kasich's vote in Indiana could change and go to Cruz. This is not necessarily the case. Our Indiana Battleground Tracker showed Kasich's voters would be equally upset about the prospect of a Cruz nomination as a Trump nomination: forty-three percent of Kasich voters would be upset with Trump as nominee, and a comparable 40 percent upset with Cruz as nominee. Further, even in this divided environment, voters tend to vote for people not merely against them. Seventy-five percent of John Kasich's Indiana voters say they're voting at least in part for John Kasich. Only a quarter see their only goal as stopping Trump. If Kasich's voters do move because of this (and there's no evidence yet that they will) 28 percent of Kasich voters would be satisfied with Trump as nominee. That's not a lot, but if they do consider Trump, remember that Trump wouldn't need a lot of them, since he's already leading. Cruz's voters are not all anti-Trump either: Forty-two percent of Cruz's voters would be enthusiastic or satisfied with Trump as nominee. Finally, Trump's charge of collusion might only play into the narrative of a rigged system that Trump voters - and many Republicans - are already buying. Sixty-six percent of Trump voters feel the GOP nomination system is unfair, much as they have in previous states. Indiana has shaped up as an important race because after tomorrow, where Trump is expected to do well, Trump could have a clear sightline to the nomination - he'll likely come out of Tuesday's primaries in Pennsylvania, Connecticut, Rhode Island, and Delaware adding to his overall delegate lead, have over 900 delegates, and still be in position to potentially clinch the nomination with the requisite 1,237 delegates in June. Indiana is a large stop along the way - if Trump loses there badly on May 3, it would put him off that course. But right now he is leading, and the math suggests he just needs to break even there, in order to stay on track to win in California on June 7.